Do you know the Universities of Technology application closing dates for study in 2018? Are you matriculating in 2017 and considering furthering your studies after you finish high school? Do you know what you want to study in 2018 and which institution you would like to join? Are you considering applying at a University of Technology to pursue your dream? More importantly, do you know when Universities of Technology application dates for study in 2018 close? If not, consult the list below to avoid disappointment. It is the vision of the Cape Peninsula University of Technology (CPUT) to be at the heart of technology education and innovation in Africa. Their mission is to develop and sustain an empowering environment where, through teaching, learning, research and scholarship, their students and staff, in partnership with the community and industry, are able to create and apply knowledge that contributes to development. Were or are you thinking about studying at Cape Peninsula University of Technology (CPUT)? Many top students from CPUT have attained high levels of success on their chosen career paths. To register at the Cape Peninsula University of Technology (CPUT) will only take 15 minutes of your time. Finding a university is hard enough. Missing the the deadline can be disappointing. Careers Portal has compiled a list with links to their websites for you to review. Cape Pensula University of Technology (CPUT), a university in Cape Town, is the only university of Technology in the Western Cape, and is also the largest university in the province, with over 29 000 students. It is a result of the merger in 2005 between the Cape Technikon and Pensinsula Technikon. CPUT takes a unique path in higher education. The large majority of courses (arranged in six faculties) incorporate in-service training, which consists of an internship, ranging from six months to three years. The University’s comprehensive co-operative education policy ensures students are placed within a company that is pre-approved; this ensures that academic learning is reinforned by practical work-based experience. For more information, visit the Cape Pensula University of Technology (CPUT). The Central University of Technology (CUT) is based in the Free State, in the city of Bloemfontein, with regional learning centres in Welkom and Kimberley. As a university of technology, CUT specialises in providing Science, Engineering and Technology applied research, as well as career-orientated training and community involvement. CUT aspires to foster an institutional culture that reflects and serves social order in South Africa. CUT has three faculties, namely Engineering-Communication Technology, Health and Environmental Sciences and Management Sciences, in which had an enrolment of 12 000 students in 2009. Visit the Central University of Technology (CUT) for more information. The is a technical university in KwaZulu Natal, with approximately 23 000 students currently enrolled. It was formed in 2002 by the merger of Technikon Natal and ML Sutan Technikon, and was previously known as the Durban Institute of Technology. It has seven campuses, with five in Durban, and two in the Midlands. The university aspires to be a “preferred university for developing leadership in technology and productive citizenship”, and to “making knowledge useful”. With six faculties, business studies and a number of centres, DUT is dedicated to intellectual evolution. For more information, visit the Durban University of Technology (DUT). Mangosuthu University of Technology (MUT), formerly Mangosuthu Technikon, is a University of Technology on the outskirts of Durban, near Umlazi. A Zulu-speaking university, MUT provides students with career orientated skills through a combination of theoretical knowledge and practical experience in the workplace. This is achieved through close co-operation with commerce and industry to ensure that the curriculum of a particular qualification is relevant to the chosen field, and that it is market related. Theoretical studies and in-service training form part of the programmes. 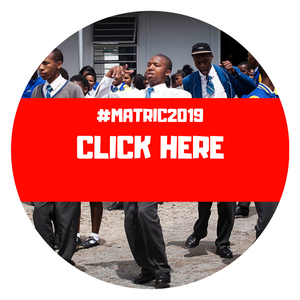 With three faculties (Engineering, Management Sciences and Natural Sciences) MUT has more than 3000 graduates province-wide, as well as from neighbouring states like Swaziland, Mozambique, Lesotho and Namibia.